Takatsuki is a city in Japan, where the company Air Tight is located. 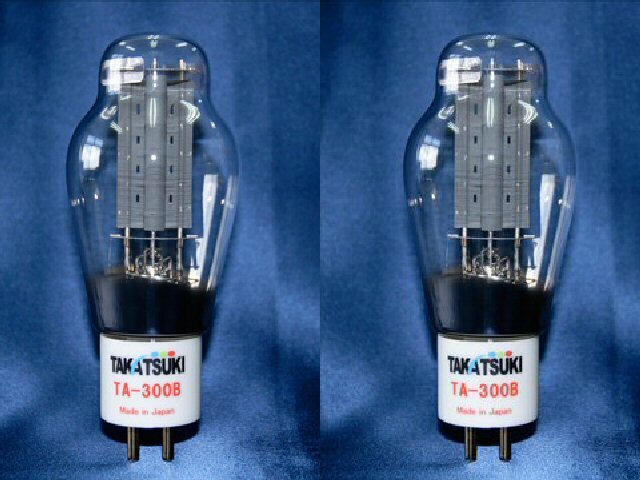 But not only that one – there is also a big company Takatsuki Electric Industry, known from, for example, modern LED lighting. Until recently. 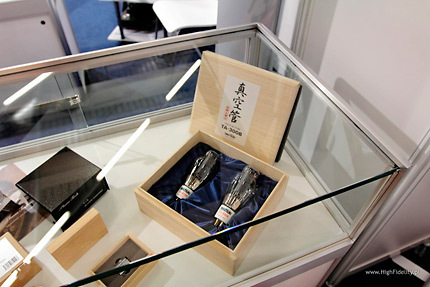 Because last year the information was released, that this company decided to manufacture in Japan (and this did not happen for a long time now) 300B electron tubes. Was Mr. Miura from Air Tight behind this inspiration, or somebody else – I do not know for sure. But because it is known, that those two companies are located close together, and Air Tight is responsible for the distribution of those tubes outside of Japan, it is highly possible. Anyway, it was quite a rumor about those new tubes. In Munich, during the show High End 2011 I saw them on the Air Tight stand and exchanged a few words about them with Mr. Miura. And this only sharpened my appetite. The tubes arrived a month later. I had a pair available, but because I needed two pairs – the test was to be made in the amplifiers Ancient Audio Silver Grand Mono with 18W output power, which uses two parallel tubes in each channel. The amplifier is owned by Janusz, who made his system using Ancient Audio gear, Acrolink and Tara Labs cables and the Base Rack. He uses the Create Audio Golden Jazz Series 300B tubes on daily basis, I wrote about those HERE. Those are splendid, inexpensive tubes, which fared better than most of their predecessors. For some time Janusz also used their successors, the Create Audio Luxury Series 300B, but after initial euphoria he changed his mind about them. Although some of their assets, like the incredible smoothness and brilliant midrange required admiration, Janusz decided to return to the Golden Jazz. This is the environment in which we tested the Takatsuki tubes. 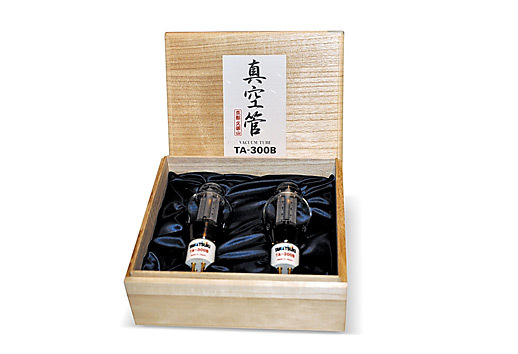 Because we could not make the direct AB comparison, we made the classic test of listening to a few pieces using one kind of tubes first (Golden Jazz Series), then the second ones (Luxury Series) and finally the Takatsuki TA-300B. The first impressions were noted after changing one Create Audio tubes for another, and then after changing to the Japanese ones. Our observations are quoted below. For me it played better the second time. There was more of the treble (or it is the influence of the drunk champagne Proseco…). There was a visible increase, for me, in the amount of air around the performers. Możdżer sounded first in a compressed way, and now, with the Luxury series it sounded in a full, nice way. Through the first two pieces, I mean the Brandenburg Concertos and with English Folksongs Sholl, I thought that the second tubes, the Luxury Series sound better. Everything was smoother, as if it would be better put together. But starting from the disc Mano Suave Yasmin Levy this has changed – I heard – it’s just that I do not know classical music – that earlier everything was more live, more precise, more dynamic. I was especially struck by this with Możdżer, when the Luxury Series tubes sounded in an lazy, withdrawn way. The Golden Jazz Series were vivid and clearer. This is why I bet on them. Without a doubt the second tubes (Luxury series) were better in clarity and transparency. Other elements, like the extension of bass, dynamics, etc, were better with the Golden Jazz Series. In direct comparison it can be heard, that although the second tubes sound slightly lower, are fuller, they have in reality no lower bass, at all, and they stand in for that with a strong lower midrange. They do also not have such a great space, and for me without that element there is no high end. The second tubes did not differentiate, did not seduce as did the first ones. This is why I would pick the first ones, the Golden Jazz Series. Much better, at least this time, sounded the first tubes, the Golden Jazz Series. Although with Bach I had the impression of a thin sound, as if the midrange would not be saturated. This impression returned once more, with the disc Maria Awaria by Maria Peszek. After changing the tubes to the Luxury Series I thought with Maria, and with other discs with vocals, that it was better. Finally I had the kick, power, energy coming from the palpable sound. But after the Maria disc, the further we went, the worse it got with the second tubes. Finally I chose the first tubes, with the second ones I lacked differentiation, refinement. Luxury Series is for me clarity, power (they seem louder subjectively). Golden Jazz Series is for me – especially with Możdżer – clearly superior in terms of transparency and speed. 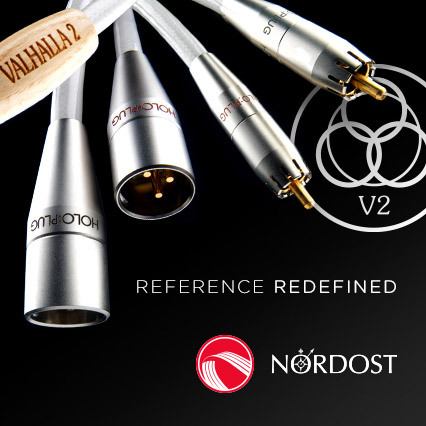 With those tubes differentiation is phenomenal, and it dies off with the Luxury Series. This time I thought, that those tubes have a slightly cut midrange, and they are more “shouting” as the Golden Jazz Series. I have to admit to Rysiek, who pointed that out the last time, and what I did not hear before. I was wrong. As you can see, the Luxury Series tubes were not so well received as the last time. Is this because they got played out, that we got used to their assets – most of the listeners, although not all of them, found the Golden Jazz series play better. Interestingly, both followers of the second tubes listen to classical music. This is why the incredible midrange of the Luxury Series, lack of aggressiveness, etc, were for them more attractive than dynamics and vividness of the Golden Jazz Series. For me, this time, the Golden Jazz Series tubes were better – more dynamic, vivid. I know, that I heard the same last time, but I judged differently. Although… this midrange of the Luxury Series – this is not there in the first tubes, and I miss that in them. Decidedly yes. I will not prolong that – this presentation really involves. Superb, really superb! Putting those tubes on after the Luxury Series was something for me, at least in this system it was the golden middle. This is by far the best sound I heard here. Ever, I mean I never experienced something like that before, and no system did sound like that – at least for me. I mean so good, so fluent, so holistic. I am shaken, how big was the change introduced by those tubes. This is a very mature sound.